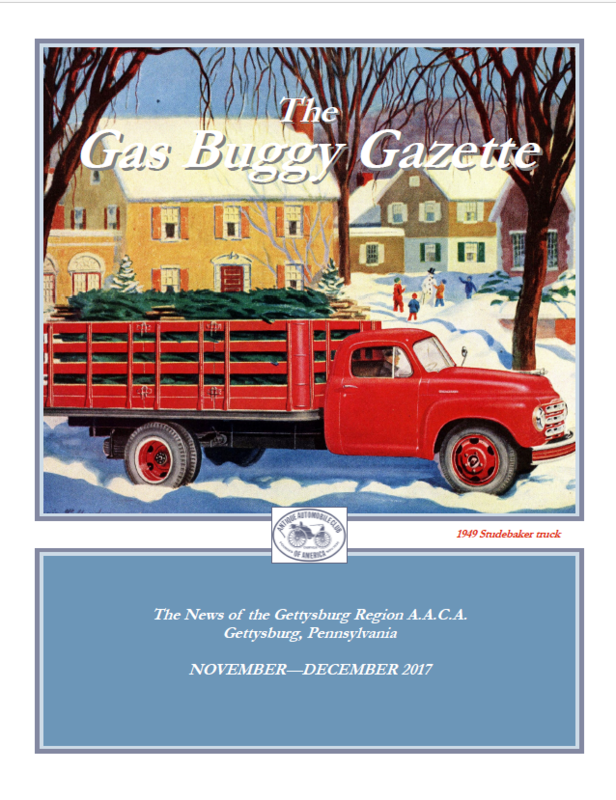 One of the many perks of becoming a Gettysburg Region member is getting a subscription to our bi-monthly newsletter, The Gas Buggy Gazette. 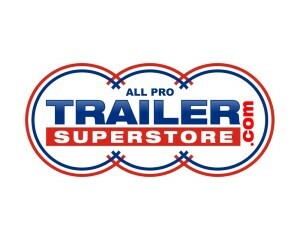 You have the option of receiving a print copy through the mail, or a digital copy via e-mail. 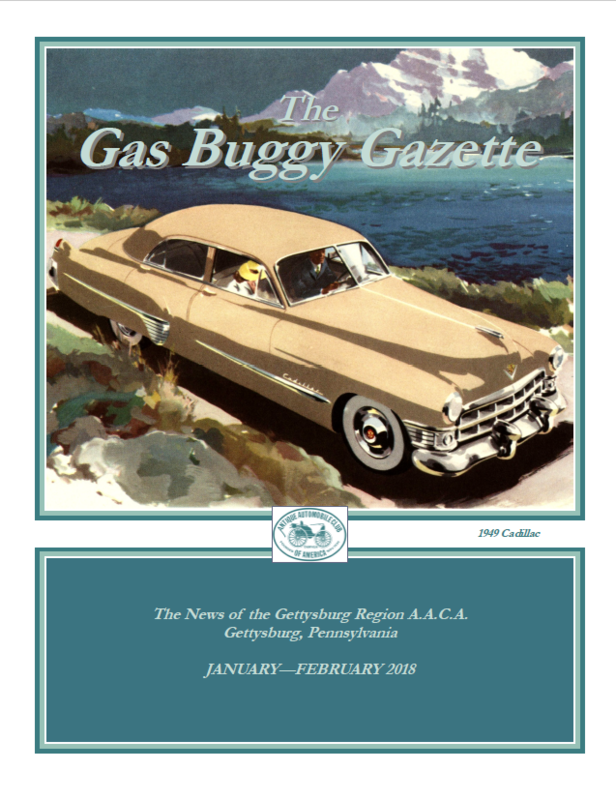 The Gas Buggy Gazette, has insightful antique-car articles in every issue and covers all of the enjoyable regional events which the members enjoy. 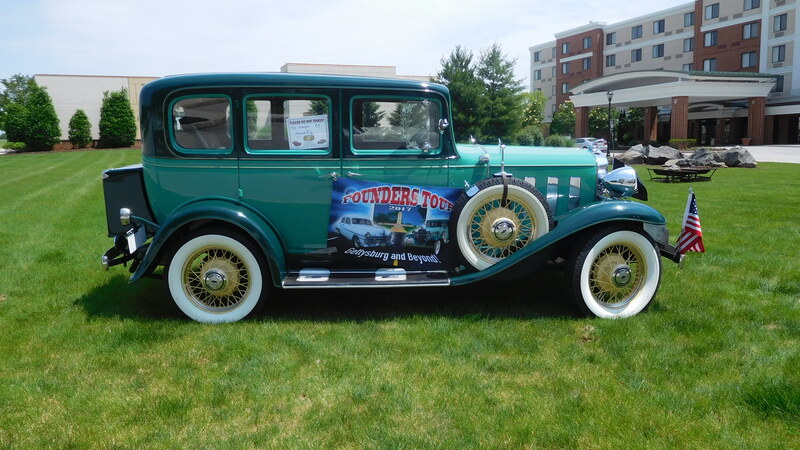 For example, which cars were good, and which not-so-good, in 1955? Quality varied noticeably, yet that fact is forgotten today. 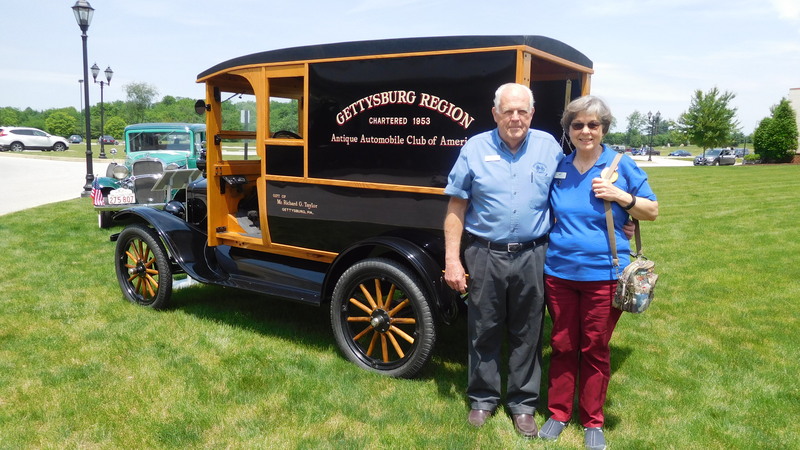 Did you know that one of the early inventors, Charles Duryea, thought that the automobile would be the ideal product for people too poor to afford a horse? Have you ever heard of “spray-on chrome”? 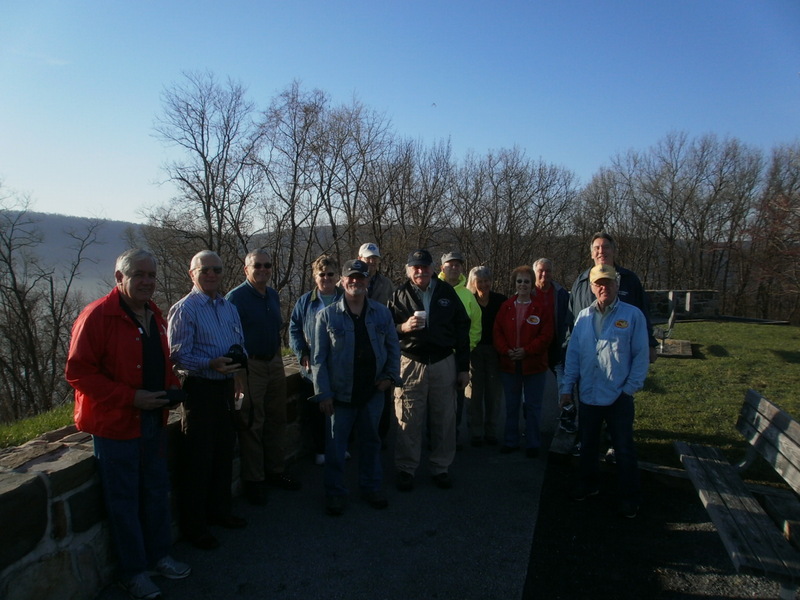 The club’s 16-page newsletter is printed in full color on glossy paper, and is sent to Gettysburg Region members every 2 months. 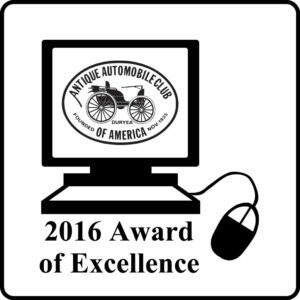 It has won the AACA’s highest award numerous times under both its current and its former editors. 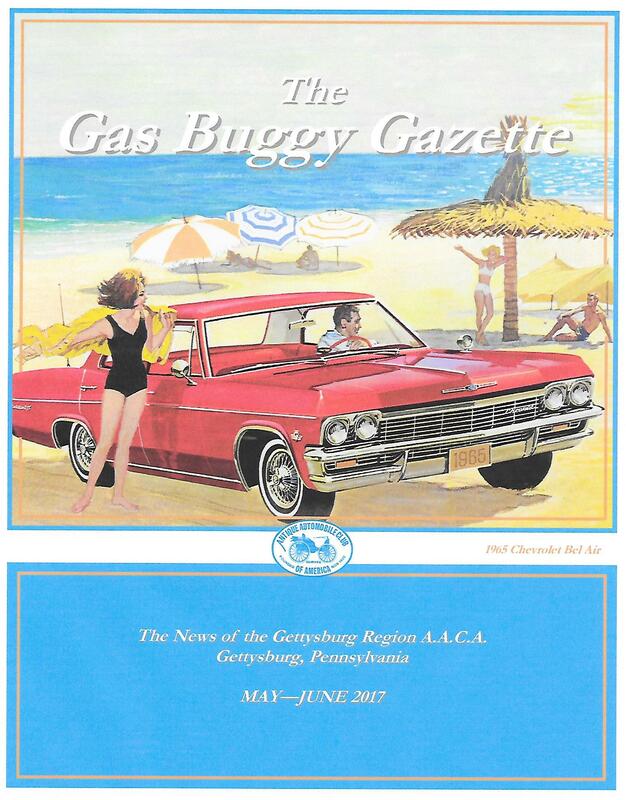 If you like cars, the interesting newsletter and the many and varied club activities will genuinely enhance your enjoyment.